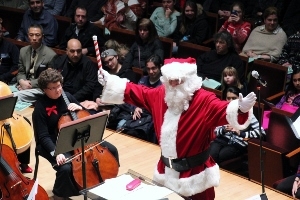 Yuletide Joy: A Family Holiday Concert Holiday favorites from the World Over. We won't tell you exactly what will be included on this year's family-oriented holiday program, but with any luck we’ll once again have a special visitor (or two) with us! Join us for an hour-long, family-friendly program of yuletide delights, presented by the 100-member DuPage Symphony Orchestra. Celebrate the start of the holiday season with this distinctively appealing December concert.